Can I look any more smug. 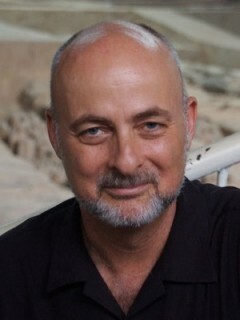 Can I.
David Brin, whom some think of as a libertarian science fiction author, and who styles himself as such, but who really isn’t even close to being libertarian, and who seems to spend an inordinate amount of time these days attacking real libertarians like a jilted lover, was recently interviewed on Wired.com via the Geek’s Guide to the Galaxy podcast. Brin has a controversial take on Star Wars. For example, he calls Yoda one of the most evil characters ever. Well, okay, Brin does have something of a point when it comes to Yoda. The Jedi as a whole are pretty much useless, meddling busybodies who are directly or indirectly responsible for the fundamental political problems in the Star Wars universe. But Brin’s main criticism of Star Wars and George Lucas is premised largely on his fetish for state-democracy (my term for democratic institutions and processes ossified as formal mechanisms in the state apparatus). Lucas comes under fire for always protraying the republic as corrupt and nonfunctioning, which he does because he despises democracy and favors benign dictatorship. But, of course, Brin has staked his entire nonfiction career on his Platonic ideal of radical transparency allowing perfect knowledge in a state-democracy. Only when this ideal is realized will freedom be protected and capitalism work properly, says Brin. 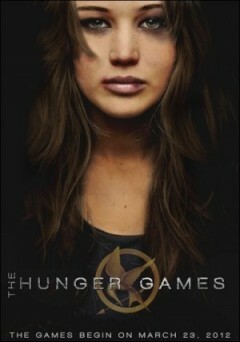 Whatever good you have heard about The Hunger Games, the reality is more spectacular. Not only is this the literary phenom of our time, but the movie that created near pandemonium for a week from its opening is a lasting contribution to art and to the understanding of our world. It’s more real than we know. In the story, a totalitarian and centralized state — it seems to be some kind of unelected autocracy — keeps a tight grip on its colonies to prevent a repeat of the rebellion that occurred some 75 years ago. They do this through the forced imposition of material deprivation, by unrelenting propaganda about the evil of disobedience to the interests of the nation-state and with “Hunger Games” as annual entertainment. In this national drama and sport, and as a continuing penance for past sedition, the central state randomly selects two teens from each of the 12 districts and puts them into a fight-to-the-death match in the woods, one watched like a reality show by every resident. The districts are supposed to cheer for their representatives and hope that one of their selected teens will be the one person who prevails. So amidst dazzling pageantry, media glitz and public hysteria, these 24 kids — who would otherwise be living normal lives — are sent to kill each other without mercy in a bloody zero-sum game. They are first transported to the opulent capitol city and wined, dined, and trained. Then the games begin. At the very outset, many are killed on the spot in the struggle to grab weapons from a stockpile. From there, coalitions form among the groups, however temporary they may be. Everyone knows there can only be one winner in the end, but alliances — formed on the basis of class, race, personality, etc. — can provide a temporary level of protection. Watching all this take place is harrowing to say the least, but the public in the movie does watch as a type of reality television. This is the ultimate dog-eat-dog setting, in which life is “solitary, poor, nasty, brutish, and short,” in the words of Thomas Hobbes. But it is also part of a game the kids are forced to play. This is not a state of nature. In real life, they wouldn’t have the need to kill or be killed. They wouldn’t see each other as enemies. They wouldn’t form into evolving factions for self-protection. 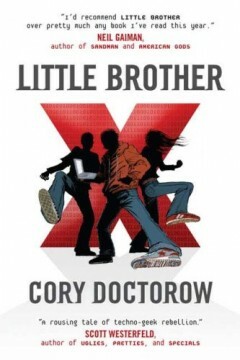 Cory Doctorow’s Little Brother is a tale about tech-savvy teenagers as they rebel against a Department of Homeland Security crackdown following a terrorist attack on San Fransisco. A piece of YA fiction that even adults can enjoy — it’s YA largely because of its teenage protagonists and its educational aim at young people — Little Brother is the 2009 Prometheus Award winner for best libertarian novel. Little Brother also won the John W. Campbell Memorial Award and was a finalist for the Hugo Award. Little Brother is set entirely in San Fransisco, California, in the very near future. Much of the technology in the story is already available, and what is not can easily be conceived as being on the horizon. The story is told entirely in the first person, from the point of view of the main character, Marcus Yallow. Marcus at first goes by the handle w1n5t0n (Winston in leetspeak, a homage to George Orwell’s 1984, as is the title of the book) but later switches to M1k3y (which could be a reference to the computer Mike in Robert Heinlein’s The Moon is a Harsh Mistress). As the story opens, we are introduced to Marcus and three of his friends — Jolu (Jose Luis), Van (Vanessa), and best friend, Darryl — who ditch school to play an ARG (Alternate Reality Game) called Harajuku Fun Madness in and around the city. They happen to have the misfortune of being in the wrong part of town when terrorists blow up the Bay Bridge. In the chaos and confusion that follows, they get picked up by the Department of Homeland Security and then subjected to several days of interrogation and psychological torture in a “Gitmo by the Bay” before being released (with the exception of Darryl) with threats to keep quiet about their experience…or else. But once set free, Marcus and his friends are disturbed to see their city being turned into a police state. Marcus resolves to fight back against the DHS, to restore civil rights and liberties and to free Darryl. He soon becomes the unofficial leader of a growing, decentralized movement of rebellious teenagers. But his covert struggle starts to put a strain on his relationships with his family and friends.